For a hardy animal that has multiple uses around a ranch, you can’t make a better investment than in goats. 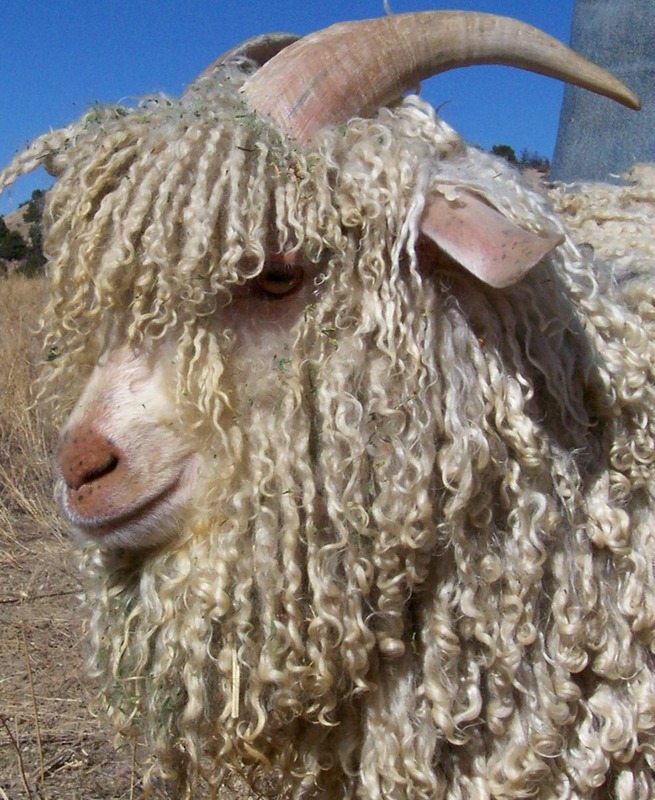 Angora goats, the source of mohair, are charming creatures. They are curious and friendly, but not overwhelming as many goat breeds can be. They don’t climb out of fences or jump on top of their sheds. They will willingly eat your trees and shrubs if they can reach them, so beware! Their long curly locks must be shorn twice a year. Cashmere goats are more like dairy goats in appearance, with an obvious guard coat covering their luscious soft fiber. Their undercoat– the cashmere fiber— is harvested from them once a year at molting season. In some parts of the world, the cashmere is brushed from the goat. Most US breeders shear the animals and send the fleece to a special processor. The coarse guard hairs must be removed from the fleece, using a mechanism specially designed for the job. Removing the coarse hairs by hands is unbearably tedious, which is partly why cashmere is costly. Not quite ready to buy your own flock? You can try spinning Cashmere fiber without committing to raising the goats. Pygora goats and Cashgora goats are other fiber bearing breeds that are less common. They are both hybrids, and breeding continues to improve the quality of their wool. In the past, there have been so many inconsistencies with the quality of the fiber produced that many ranchers shy away from these newer breeds. To read more about how to raise your own goats, check out the page Book Reviews: Books About Farm Animals. here at SlowYarn! Tell us what you think, share your ideas, or comment on the content. Or you can contact me directly at Kelley@SlowYarn.com. Copyright © 2013-2018 Kelley Adams. Allrights reserved.